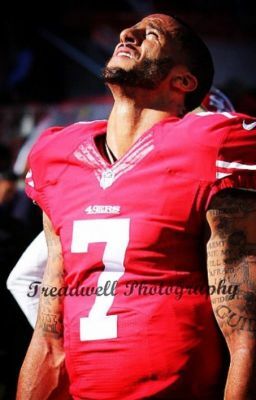 Colin Kaepernick is an arrogant, egotistical, womanizer. Having a different woman in his bed practically any chance he gets, he has damned Love to Hell. He doesn't do Monogamy and relationships are too conventional and a waste of time in his opinion. He has had his believes since he graduated college...but why? Alaina Herrera is a Sports Physical Therapist who just recently moved to the Bay area and being hired to work for the 49ers would most likely be no easy task. She and Colin knew each other back in college, having dated their whole Senior year. They were in love but Alaina decided to end things with Colin on graduation day leaving Colin heartbroken. They both haven't spoken or seen each other in over four years and both have moved on with their lives until Alaina becomes his therapist after Colin had surgery on his knee and shoulder. How will he feel seeing the first girl he's ever loved after so long? Will his feelings for her resurface? Or will his anger and hatred for the girl who had his heart and shattered it into a million pieces come out? Can broken hearts be mended? Will Colin be able to forgive and learn to love again? "Did you ever love me Alaina? Or was I just a distraction to get you thru our Senior year?" he snapped wanting to know the truth. "Of course I loved you, how could you think I didn't?" she replied hurt. "Because you left! You left me...we were happy together, I asked you to marry me and you...you rejected me...you broke my heart Alaina and I never got over it...over YOU!" he whispered sounding defeated. "I'm sorry Colin! I never meant to hurt you! Breaking up with you was one of the hardest things I ever had to do! I never stopped thinking about you!" "...neither did I Alaina and as much as I want to hate you and forget you...I can't. You are the only girl who had and still has my heart! I'm still in love with you...are you?" he asked hopeful. Did she still love him? Can she love him like before? "Colin, I-"